Wildlife, if you live your life daily in the South African bush can take on a whole new meaning. You can immerse yourself in a whole new world of mystery and intrigue, the 'toings' and 'froings' of many of mother natures wildlife's interesting characters. This spectacle is played out daily in front of you and it can take a 'life time' to fully understand, but only a mere moment to enjoy, if you are lucky enough to witness such happeneings. I count myself very lucky to witness and photograph many such spectacles to share with you all. As the months come and go you start to notice the bush's wildlife changing their behaviour, colour, attitudes and as in my last few post they may even 'disappear' or 'appear' all together as seasonal migrations take place or they hibernate. For the various species of wildlife that actually breed in South Africa, the time eventually comes around when love is in the air, which in most cases is the onset of Spring. Mother nature provides many ways in which certain species choose a 'mate' and how they are chosen. One of the interesting processes many wildlife species go through to choose a mate initially, is a system which is called 'Lekking'. Lekking usually takes place before or during the breeding season. Many of natures wildlife species like Birds, Antelope, Frogs, Seals, Crabs, even Butterflies use this system. Briefly then 'Lekking' is conducted is an area or arena called a 'Lek' where a 'aggregation' (gathering) of males form 'small territories', to 'defend' and display themselves to potential females mates. Dependant on size of species, this could be anything from a few centimetres to 20 or 30 meters but the areas are solely for competitive display purposes (as 'resourced regional territories' and or 'home ranges' of animals is another subject altogether and best kept for another post) and are defended by males against each other with a view to establishing a 'hierarchy' and attracting female mates. Many females of the species on the other hand visit these areas/arenas 'Leks' primarily to find a mate. Those males that are noticed by females are those perhaps with large horns or antlers, bright coloured coats or feathers, large in statue, audible noises like snorting and or singing displays (birds) all go to make up a 'display' in a 'Lek' to attract a female mate and continue the gene pool. 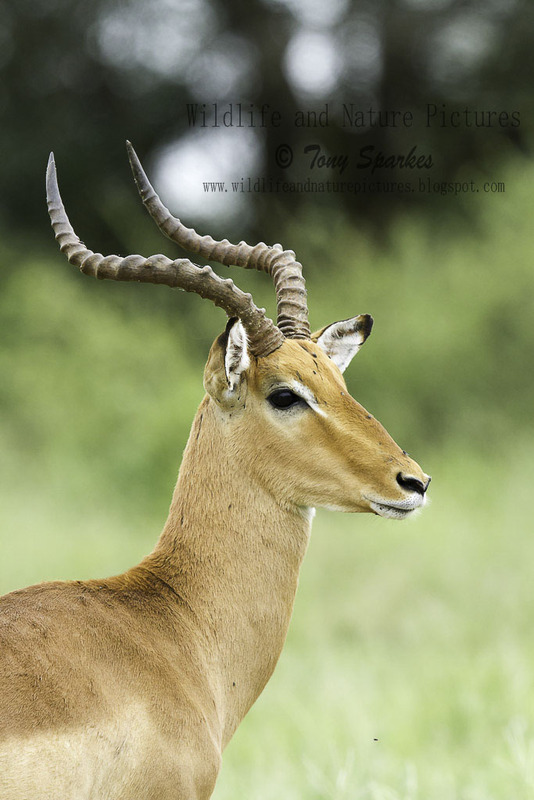 A species of Antelope found in South Africa which uses the 'lekking' system to help find a mate.